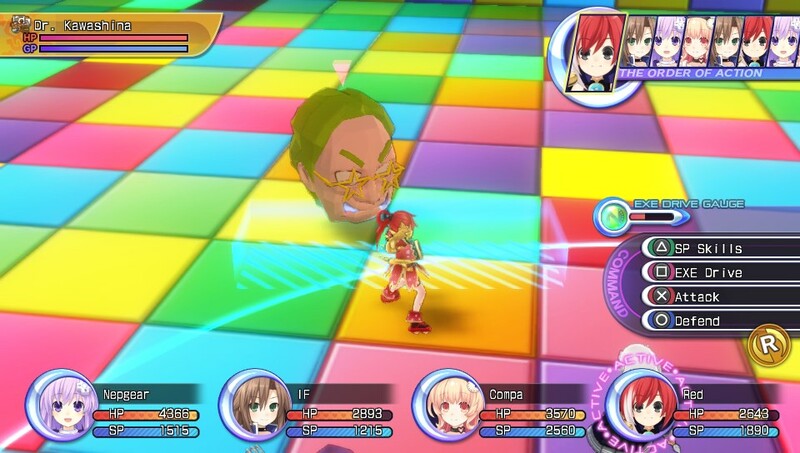 A solid follow-up to the first Neptunia remake that tweaks the gameplay to remove those last few niggles. 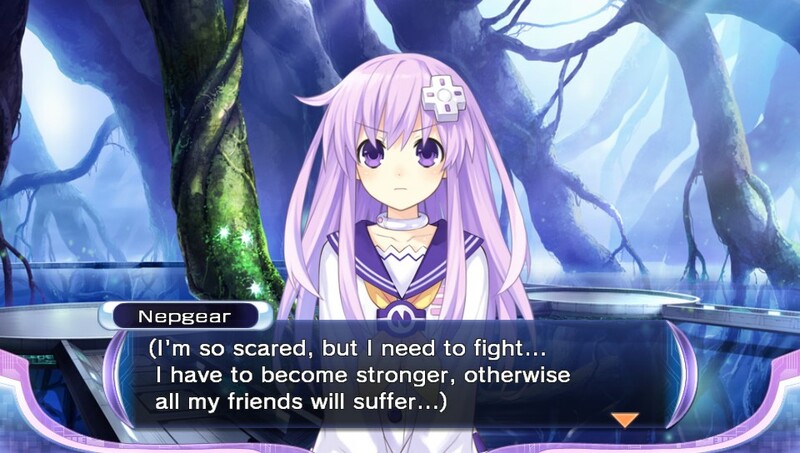 Nepgear as a main character is far more likeable and less irritating than her big sister Neptune. The storyline is so forgettable that you can tell even the writers weren't really trying. The world of Gamindustri is in trouble. The four CPUs have been sealed away in the “Gamindustri Graveyard”, and in their absence, people have started worshipping the nefarious ASIC, a group dedicated to pirated games, cheat codes and illegal downloads! Desperate to stop this travesty, adventurers IF and Compa set out to rescue the CPUs, but only manage to save CPU Neptune’s younger sister, CPU Candidate Nepgear. 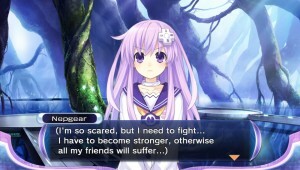 Now, it falls to Nepgear to gather the other CPU Candidates, restore Gamindustri and save their big sisters! 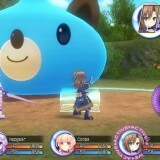 Hot on the heels of the first Neptunia remake comes another Vita remake, this time of the second game in the series. 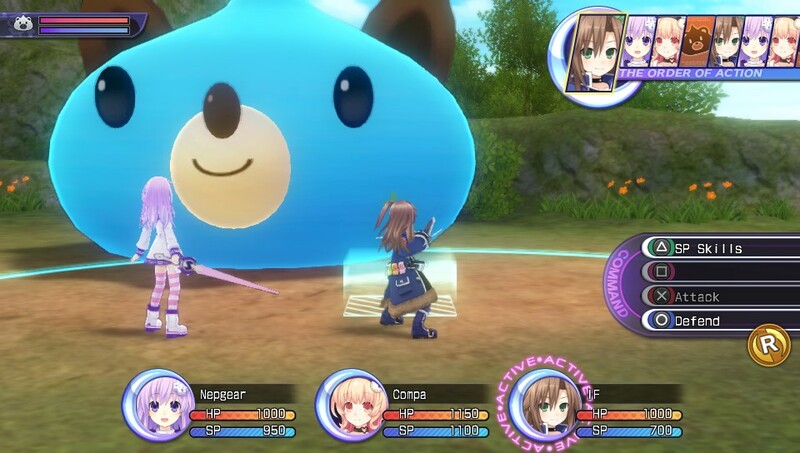 Neptunia 2 has undergone exactly the same treatment as its predecessor, to the extent that playing this remake pretty much feels like having bunch of extra chapters tacked on to first Neptunia Rebirth. So much so, in fact, that when the game tries to walk you through the exact same tutorials at the start, you’ll be keen to skip them and just get straight back in the groove. For those who didn’t pick up the first Neptunia Rebirth title for Vita, I’ll recap the main features of these remakes. 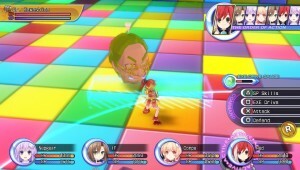 Gone is the battle system from the original Neptunia games, replaced with the one from Hyperdimension Neptunia Victory. Enemies wander the dungeon maps, and running into them initiates a turn-based battle where you run around the battlefield unleashing combo attacks on any enemy in range. 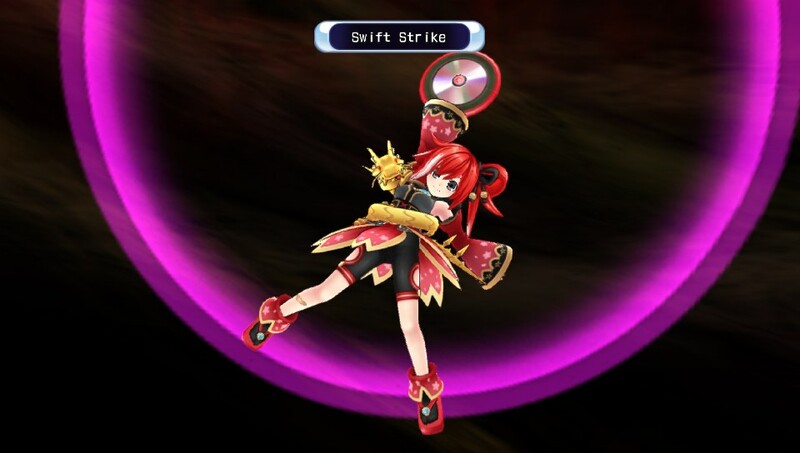 As usual, CPU characters have the ability to transform into more powerful forms, allowing them to deal more damage when the going gets tough. The only major change between this game and the first Rebirth is that you now get four characters in your party instead of three, which helps to make normal and boss battle feel a bit easier. Indeed, the annoying difficulty jumps and tough bosses of the first Rebirth have been replaced with a smoother learning curve, so it may be that the developers have finally got the difficulty balance right. As before, this game also comes with a ‘Remake system’ – by collecting plans and recipes found in various locations across the world, you can use materials to unlock new dungeons, change the difficulty or synthesise new weapons, items and armour. Together with the usual range of item collection and monster-killing quests, there’s always enough optional stuff to do to ensure that you’ll level up easily without feeling like you’re spending ages doing repetitive grinding. One slightly pointless addition this time around is “Stella’s Dungeon”, which, although it bills itself as an RPG within an RPG, isn’t nearly as exciting as that sounds. 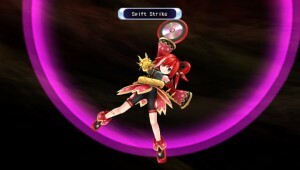 Basically, Stella can be equipped with weapons and items, and then dispatched to explore dungeons on her own. If she makes it back alive, she will usually present you with loot – a mixture of new weapons and items for herself, and materials you can use in the main game. Character B: I coincidentally overheard your conversation, and I think I should tell you that what you need to do is collect Key Items X and Y from these dungeons! Character A: Great – we’ll do that then! If, by any chance, you should actually feel invested in these characters, it’s worth noting that a couple of playable characters from the original Neptunia 2 have been omitted, and replaced with other characters from the series. The Neptunia series is never going to win any awards for originality or excellence, but the Remake series continues to make a strong showing. With some niggles from the first Rebirth game ironed out here, Rebirth mk2 is a solid and enjoyable experience that will keep JRPG fans occupied for a good few (tens of) hours.